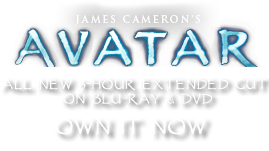 Arrow, Fishing | Pandorapedia: The Official Guide to Pandora | Own AVATAR on Blu-ray & DVD Now! Broad arrowhead is mostly flat but with slight spiral ridges. String attached to the rear of the arrow prevents the fish from swimming away once arrow is embedded. Materials and Construction Arrowhead made from natural seed case that drops from the canopy and corkscrews itself into ground, creating three-pronged head. Fletching is intricately bound feather-like tufts on an arched filament. Barbed wooden spines bound to shaft of arrow.